When 27-year-old Kinnard Hockenhull moved to the North End, he went door-to-door asking his neighbors to join Slack, a group messaging app that's a mainstay of board rooms and startup offices. A native Detroiter whose tech skills were sharpened in Silicon Valley while working on his bitcoin startup called BitBox, Hockenhull has a respect for the old school and a close affiliation with the new. On a neighborhood level, Slack could act as a pop-up community meeting on your laptop, allowing residents to stay updated on community news through the notifications on their phones. But for some of his neighbors, Slack required more space than they had on their smartphone, if they had one at all. "I realized that I was alone and the only thing I could do is build a community around me," says Hockenhull. So Hockenhull started the North End Tech Team. Now numbering between 10 and 15, the group has been meeting to formulate a bottom-up community technology framework. They also have plans to test radical ideas in the neighborhood, much like other local tech innovators. It may be counterintuitive to ask neighbors to join a digital messaging platform through face-to-face engagement, but most residents of the North End lack access to the internet. Last year, the Federal Communications Commission found that only four in 10 Detroiters had internet connectivity. Many locals feel that getting residents connected is critically important—internet access could allow the North End and its robust black community to chip away at the walls of the digital divide and elevate their neighborhood vision. Or it could simply allow residents to go about their everyday life with a little more efficiency. That's why a few North Enders are taking it upon themselves to make connectivity their personal responsibility. 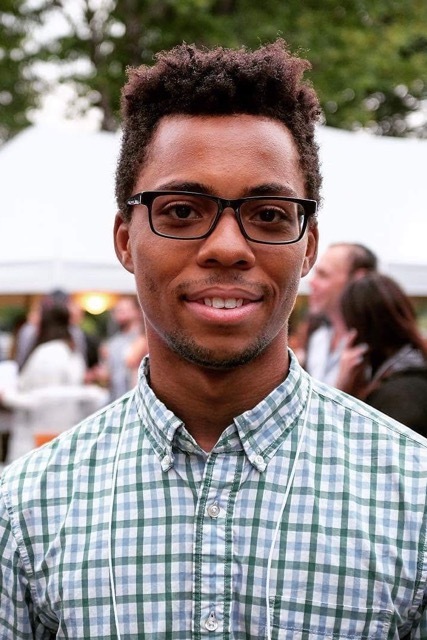 Uri "Heru" House, a digital steward with the North End Woodward Community Coalition (NEWCC), wants to see the neighborhood—which he calls "the last black town"—and its residents tap into "a standard of living that allows and demands internet access." "Our people need access," says House. NEWCC is part of the Detroit Community Technology Project and its program, the Equitable Internet Initiative. Community members are trained in creating point-to-point networks that democratize the internet by increasing access from a few to many. 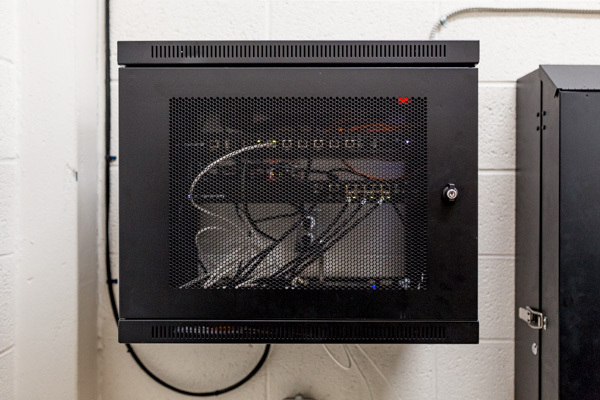 Digital stewards like House are currently installing routers in 50 buildings in the neighborhood (including another 100 in two other neighborhoods) to provide free Wi-Fi access. "Point-to-point makes it so that those who do have [internet access] make it available to those who don't," says House. Hockenhull follows a tech ethos that encourages people to adopt unconventional solutions to remedy persistent problems and sees the North End as an opportunity to beta test, so to speak, some cutting-edge ideas. In November, Hockenhull plans to launch a cryptocurrency crowdfunding campaign to raise funds for a hackerspace for the North End Tech Team and their future tech fellows. There, they can come together to brainstorm and experiment with new technological methods. "Tech is very much about letting go of what is right now, what exists right now, and what people are using right now in order to put your hands on what should be," says Hockenhull. The group also hosts more practical tech-themed talks on topics like solar power technology and privacy that feature actual North End residents, so that neighbors can learn from one another. 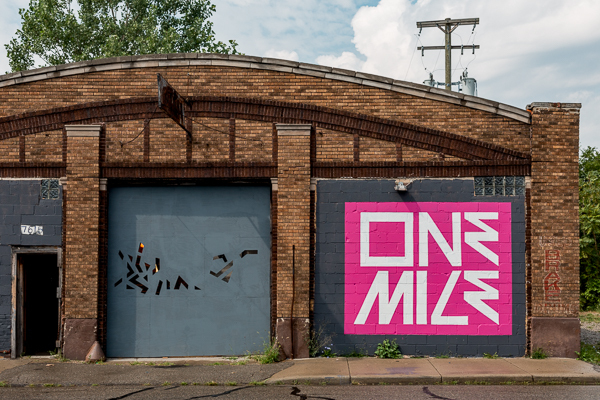 Those interested in learning about tech in the North End could alternatively stop in at ONE Mile Detroit, a community gathering and event space. During the day, it's the high-tech playground for Onyx Ashanti. 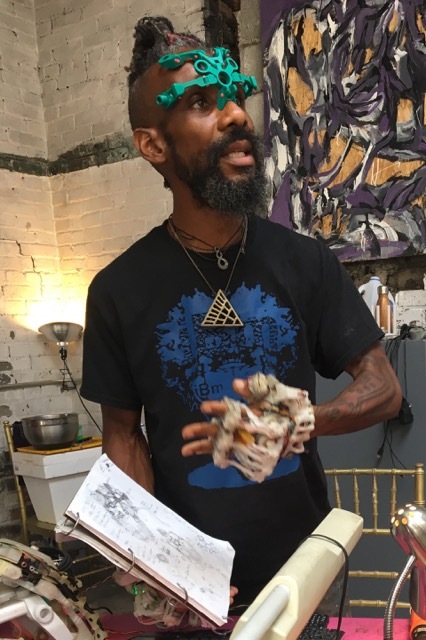 The Mothership, a replica of George Clinton's original model from the P-Funk era, keeps Ashanti company as he experiments with sono-cybernetics—a system that he describes as the "transduction of information and feedback of that information." Ashanti's lower arms are outfitted with a 3D printed device that looks like the bionic limbs of a superhero. Wires and sensors on his hands, feet, and forehead map Ashanti's movements, play audio tones, and even allow him to type words on a computer screen without touching a keyboard. All this gear is monitoring Ashanti's movements—it's a way for him to hear the electrical activity of his body and talk back to it by documenting his actions. Certain demographics have traditionally been excluded from the tech industry, but Ashanti believes that curiosity in tech can make up for gaps in tech skills and eventually strengthen tech literacy over time. "There is a methodology called culture mapping that keeps people out of this little club," says Ashanti. "But open sourcing exists now, so the networks of people creating and sharing vast amounts of very relevant information is there." Ashanti's approach requires granting the human touch to hardware. His choice to set up shop in a residential neighborhood like the North End increases the visibility of technology and invites curious passersby to become comfortable around it. Each of these pioneers has embraced a neighborhood starved for technological resources because it is a place with abundant possibilities for equitable change. These North End tech innovators believe that technology and its networks are as tangible as each of the blocks in the North End. For a community that's endured and outlasted many transformations, what's one more update?